There are different types of sweets that not just make your day but help you in healing. You might have always noticed the scrumptious side of sweets right? How about the healing side? Indeed, one such sweet is panjiri. It is not a new dish but it is also true that the richness of panjiri is still unmatched. Since eras, panjiri is making the lives of Indians sweet and hearty. If you want, you can also munch on Panjiri ladoo. Exactly, once you know the basic structure of panjiri, you can make it as rich as you want. 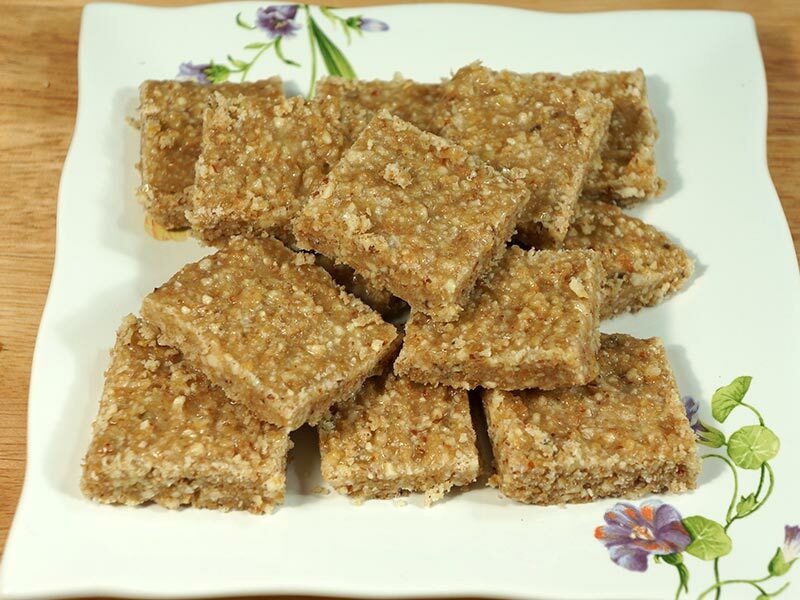 There are many people who especially go for panjiri as their special sweets during the special occasions or events. If you want to go deeper in this sweet then here you go. Where does it stemmed from? Panjiri is a Pakistani and Indian seasonal main from the region of Punjab. It has also been treated as a nutritional supplement. This rich delicious dish is made up of whole-wheat flour that is properly fried in sugar and ghee. People do laced it with dry fruits and extensive herbal gums. Of course, you can find different ingredients in different types of panjiri. People do come up with their favourite ingredients for panjiri. Anyhow, it is generally eaten in the times of winters to defend against extreme cold. And you know what; panjiri is usually given to nursing mothers. This dish is considered to be hot Food to help with the generation of breast milk. If you think that this dish is something new then you are wrong. You will be amazed to know that this dish has been used for thousands of years by ancient Hindus. Down the lane, it also got used extensively by the Sikhs. So, it is needless to say that the use of Panjiri is somewhat meaningful and ritualistic during the time of pregnancy. Since there is diversity in India, you can find specifications in food of different areas. People belonging to different areas put different ingredients in Panjiri. The charm of panjiri is no longer limited to Punjab. Exactly, you can find panjiri being catered at five star hotels, luxurious restaurants and in every corner of India. However, the taste can certainly differ from place to place. Maybe, in some areas, Panjiri is light and not so rich; in other areas; you can find panjiri brimming with dry fruits and so much of gum. It totally depends on the area. The beauty of panjiri is that you can make it usually or simply make ladoos of it. For example, many mothers prepare panjiri keladoo for their children during the times of winters or cold. Mothers pack ladoos with the kids so that they can stay warm in hostel. Actually, most of the families can relate with the charm of Panjiri. Some people even circulate Panjiri along with the wedding cards. So, there is so much that you can explore in the world of sweets. Talking specifically about Panjiri, you have already seen the splendour of this delicious and rich dish!